I have been doing extensive research on portfolio sites lately and what I’ve noticed and I’m sure a lot of you have noticed is the growing popularity of one page portfolio websites. I know some of you might be “anti trends”, but I think this portfolio website format is great for several reasons and I will give you tips on how to create your own one page graphic design portfolio and how you can market it for free. I even use this one page portfolio format for my own graphic design portfolio, because I believe it works well! 1. Submit your portfolio to design inspiration sites. This can result in tons of traffic if you design is top notch and gets rated well by people on the site. So make sure your website is in perfect shape before submitting. 6. Create and attach a blog to your website so you can post articles related to design on your site. This will help bring in traffic and will help establish you as a knowledgeable professional in your field. WordPress – Can work as a great CMS (Content Management System) for your graphic design portfolio. One Page Folios – Nice collection of over 800 one page folios that you can browse through for inspiration. 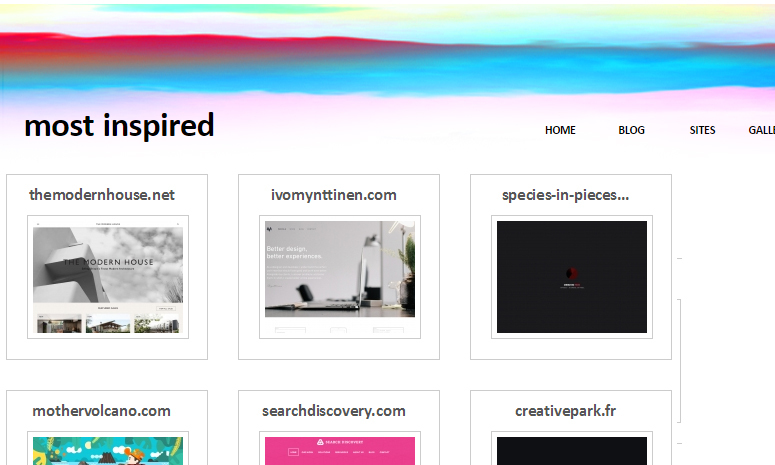 Most Inspired – A collection of all the popular CSS and design gallery website that you can submit your portfolio site too. SEO Book – The best search engine optimization book on the market. It will teach you everything you need to know about getting natural free search engine traffic to your website. I hope you found this post helpful and informative and if you have any questions or comments please feel free to post them as comments!